Welcome, testers! We know you're excited to play! Download now and head on into the world of Toontown. Operation Dessert Storm is currently available for Windows, Linux, MacOS*, and Android! 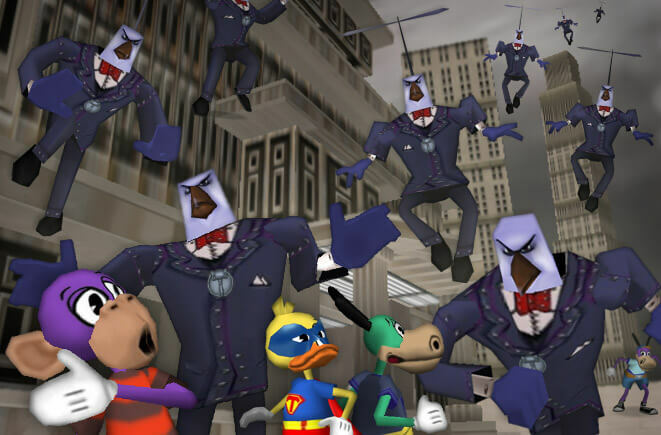 June 28th, 2018 - All buildings can now be invaded in Toontown! If you get a message saying "MSVCXXXX.dll" is missing, download the Visual Studio 2017 redistributable from Microsoft's website here!